10am and close at. 5pm. 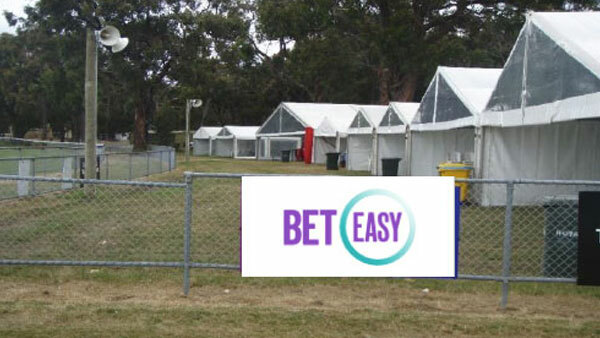 Marquees are set up at the rear of the spectator hill (between the Members Car Park and Reserve) and on the rails between the mounting yard and horse stall. 3x6m Marquee comfortably accommodates 20 seated, we would not recommend any more than 30 for this sized site. 6x6m Marquee comfortably accommodates 30 seated, we would not recommend any more than 40-45. 9x6m Marquee comfortably accommodates 40 seated, we would not recommend any more than 50-55. 12x6m Marquee comfortably accommodates 60 seated, we would not recommend any more than 75. Additional Trestle Tables, Wine Barrels, Bar Stools, Round Tables and Chairs can be ordered online while securing your marquee. Picnic tables comfortably seat 5-8 and are shaded by an umbrella. For larger groups an alternative would be to reserve another table, tables can be combined for groups 12, 18 etc. The lower the table number the closer they are to the mounting yard. Please note: BBQ’s or bucks and hens parties are not permitted in this area. Patrons can bring their own marquee for use in a booked Roped Off Area – maximum size allowed is 3 x 6 metres. Marquees larger than 3 x 6 metres must be installed by a professional authorised provider. Patrons can bring their own food and drinks. is permitted, but not excessive amounts. We encourage beer in cans rather than bottles and practice the responsible service and consumption of alcohol. There is a bar and a number of food vendors at each meeting. The Club is committed to assisting all attendees at our meetings to have an enjoyable, safe experience in a relaxed and family oriented environment with due regard to the responsible service and consumption of alcohol. Gourmet Paddock – Balnarring: Contact Alan (alan@gourmetpaddock.com.au) or Stuart (smckeon@gourmetpaddock.com.au) or phone +61 3 5989 2559. Gourmet Paddock can offer tasty cold food platters: antipasto, seafood, cheese platters, sandwiches and desserts or BBQ packs for those wishing to BYO their BBQ’. Merricks General Store team turn the very best of fresh, seasonal ingredients into the most delicious French-inspired country cuisine. The Red Hill Baker Balnarring: Contact Jill Johns (03) 5931 3125. Red Hill Baker offers a great variety of homemade breads, sandwiches, gourmet pies and cakes, along with delicious interesting salads. There is no ice available to purchase on race day, patrons must bring their own. There are a number of taps around the reserve for refilling water bottles. Patrons can bring their own barbeques; subject to local fire restrictions. Note: BBQ’s are not allowed in the BetEasy Picnic Table Enclosure. We do not have power available for marquees, roped-off areas, picnic tables or general admission areas. It is possible to leave a car at the Reserve overnight and pick it up before mid-day the following day. It would be left there at your risk. There is ample reserved bus and coach parking or drop-off. Buses and coaches will be direct by our gate attendants on race days. 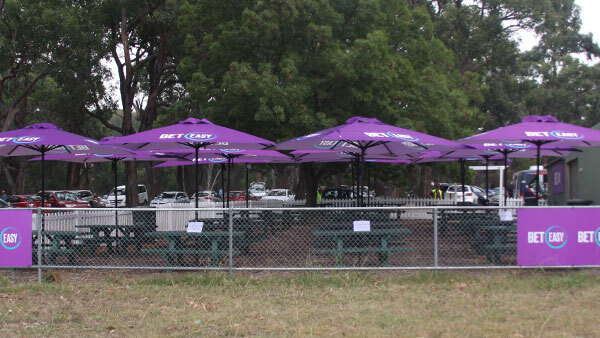 Picnic tracks do not typically have grandstands but more grassed areas and Marquees. It is advisable to dress for the weather, keep shoes casual so you can enjoy the experience by walking to the parade and betting rings as well as race viewing areas. As a club we do have the right to ask patrons wearing inappropriate outfits/costumes to change to something suitable for a family friendly event. The Balnarring Picnic Racing Club is a non-profit organisation committed to promoting picnic racing. Set in a scenic coast, yet rural environment, the Balnarring Picnic Racing Club provides the opportunity for all to experience ‘the fun of the races’. Visit the mounting yard as the horses are paraded, and from track side, cheer your favourite home as the horses race around the track. Enjoy a leisurely picnic among the trees, throw out a rug on the lush lawns under an old gumtree; however you wish to enjoy your day out at the races, Balnarring has got it all.